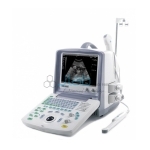 Jainco are able to manufacture and provide an excellent array of Ultrasound Machine. This ultrasound system is made for dedicated vessel use. Its technology style and easy-to-use attribute enables greater comfort and efficiency, departure patients with the most effective possible. In order to design this machine in compliance with predefined industry standards, Jainco have a tendency to use top-notch quality material. Stringently checked on various parameters, it is extensively demanded in health care facilities, clinics and hospitals. 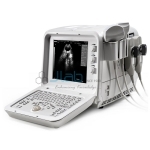 Jainco is renowned Ultra Sound Machines Suppliers, Ultra Sound Machines Manufacturer, Ultra Sound Machines, Ultra Sound Machines Exporter, Ultrasound Machines in India, Diagnostic Ultrasound Machine, Ultrasound System, Portable Ultrasound Machines.